The completion of their 12-room house 1908 allowed the Botto family to turn their attention to their new home and begin work on the property. Pietro, Maria, and their four daughters would excavate earth at the rear of the sloping property and place soil at the front. Gradually a terrace effect was created that became quite elaborate and is reminiscent of the villa homes in Italy, belonging to an entirely different social class. The Bottos were able to create a very self-sufficient lifestyle on the small piece of ground. A henhouse was built to protect 15-20 chickens, which supplied the family with eggs. A rabbit hutch and pigeon roost provided the Bottos with meat. A ventilated root cellar kept temperatures even and cool for food storage. Grapes were produced from vines covering a large 15’ by 35’ arbor. This arbor was a convenient place for eating and socializing. A small barn provided housing for tools, and a pigeon roost. Large vegetable gardens and fruit trees added fresh produce to the family larder. Thirty-foot cold frames gave protection to tender plants and seedlings. A special hothouse protected rosemary plants, used as a spice for the regional dishes of Piedmonte. A second family income was derived from another use of the property. The trolley car, which connected Haledon to Paterson, made the borough a favorite Sunday recreation spot for workers. 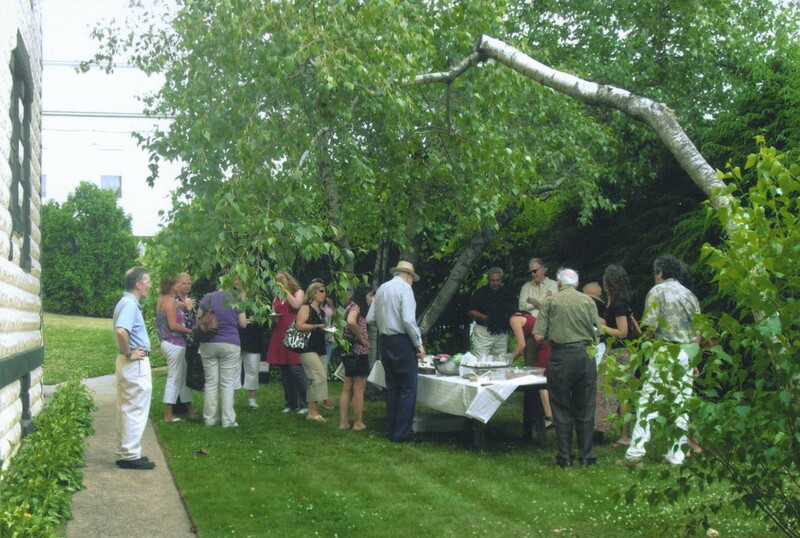 The Botto family provided visitors with a bocce court, card tables, wine, and Northern Italian cuisine. Maria Botto and her four daughters often served meals to as many as 100 people from the neighborhood and those who came to Haledon for Sunday outings in the country. This was the purpose of the property before the 1913 strike, when suddenly the house was used as a focal point for the rallies. Among those who stayed at the house and took meals there were Patrick Quinlan, Upton Sinclair, Big Bill Haywood, John Reed, Carlo Tresca, and Elizabeth Gurley Flynn. These leaders were often photographed on the property in front of the grape arbor, porch, or on the bocce court. The family discontinued the neighborhood recreation feature of the property by 1915 with Maria’s death. In the early twenties, a small garage was added along the northeast side of the property. The property exists today in large measure as it was developed by the Bottos.